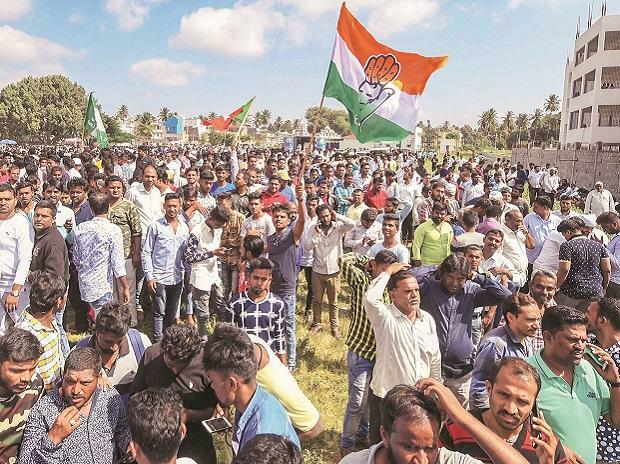 The Congress, which is leading the "grand alliance" of opposition parties for the December 7 assembly elections in Telangana, Monday said seat sharing among the parties would be finalised by November 9. "Talks are on with all. It has nearly concluded. You will come to know by (November) 9th. There is no problem in seat sharing of the alliance," R C Khuntia, AICC in charge of party affairs in Telangana, told reporters here. The "grand alliance" comprises the Congress, Telugu Desam Party, CPI and Telangana Jana Samiti (TJS). "Talks are on with the TJS, TDP, CPI. You will come to know by (November) 9th. All the lists also will be released," Khuntia said. He was replying to a query about seat-sharing among "grand alliance" partners and the TJS reportedly seeking more seats than what was offered. Earlier, leaders of the state unit of Indian Union Muslim League (IUML) announced support to the Congress. Meanwhile, the TJS expressed confidence that the "grand alliance" would be in place by Diwali on November 7. "(We) believe that the alliance would be in place by Diwali (November 7)," TJS president M Kodandaram told reporters. Saying that talks would continue with Congress leaders on Monday, he expressed confidence that the alliance would be finalised expeditiously. The TJS leader said there has been a one month delay in finalising the alliance, which had 'disapppointed' several people's organisations, keen on taking up the campaign.